Divorce mediation, an alternative to traditional divorce proceedings, is a means to resolve the complex issues of a divorce. Mediation involves the services of a trained and neutral person who works with the parties to facilitate the settlement of disputed issues. Such person is known as the "mediator." In traditional divorce proceedings, the judge ultimately determines child support, child custody, spousal support and property issues. Mediation, on the other hand, allows couples to control the outcome of their divorce. Additionally, the mediation process is non-adversarial in nature, which is especially important for couples with children, as like-minded parents can establish parenting plans with minimum disruption to the lives of their children. Many marital settlement agreements require one party to maintain a life insurance policy on his or her life naming the former spouse as the primary beneficiary. While this provides some financial security for the former spouse, it may also result in an adverse unintended tax consequence for the insured spouse’s estate. It has been estimated that more than one half of all first marriages end in divorce; the number of failed marriages is even higher for second marriages. 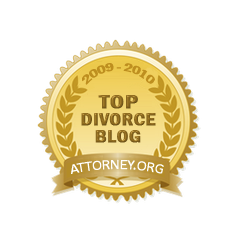 One major issue in most divorces is the division of property. Commonly, a large portion of the marital assets consist of rights in or payments from one or more pension plans. Divorce and division of property are generally controlled by state law. However, when state law contradicts or is inconsistent with federal law, the federal law "preempts" the state law; federal law controls the outcome. In 1984, Congress passed the Employee Retirement Income Security Act (ERISA), which governs most private pension plans (government and some other plans are not covered). Federal law prohibits the assignment of pension benefits in ERISA plans. This appeared to include transfers to a spouse during divorce, regardless of a state court decision on division. To remedy this, the Retirement Equity Act of 1984 (REA) established an exception to the rule through use of a "QDRO." An increasingly large portion of the assets of married couples consist of rights to payments and stock from pension plans. In many states such assets are subject to division during a divorce. Divorce and division of property are generally controlled by state law, but pension plans are controlled by federal law in many respects. A major advantage of saving for retirement through a pension plan is that contributions from employees and employers for plans such as a 401(k) plan are not taxed as income until distributed by the plan, usually after retirement, at lower tax rates. However, under provisions of the Federal Internal Revenue Code, the assignment of pension benefits, including transfers to a spouse during divorce, may result in the loss of such tax benefits. Upon divorce, all debts, property and assets must be divided between the spouses according to applicable percentages set by state law. In equitable distribution states, the court divides marital property (or property acquired during the marriage) according to what is “equitable” or “fair.” In community property states, the court will divide marital property in equal shares, or fifty-fifty. In general, retirement benefits are classified as “property” and are thus subject to division in the event of a divorce.